I have written a few times about the myriad obstacles thwarting our efforts to design drugs against pressing medical problems, but perhaps none are as formidable as some of the challenges that evolution itself has set up for us. A disturbing example of this challenge in the context of HIV treatment is described by the husband and wife team of Robert and Janet Siliciano at Johns Hopkins in a recent Science perspective. The article talks about why a "cure" for AIDS may be far more difficult than we thought. It comes on the heels of the much-hyped 'Mississippi Baby', an infant who was thought to be 'cured' but who turned out to still harbor the infection. As of now the only known HIV-free human being is the remarkable so-called 'Berlin patient', but articles like these make even his case one of cautious optimism. The authors focus on a troubling discovery made in the late 90s, around the same time that the new HIV protease inhibitors were leading to a striking decrease in the death rate. It was found that even when these drugs were effective, they were still unable to kill all the virus because some of the virus essentially went into hiding in the form of a latent state in which it integrates its DNA in 'resting' CD4 cells. This latent reservoir of hidden virions is like a Trojan horse full of deadly warriors, waiting to regroup and rebound after infection kills all the 'visible' viral particles and is discontinued for reasons of side effects or patient compliance. Ironically in this process, as biologist Alison Hill from Harvard explains in a helpful NOVA article about purported HIV 'cures', the virus is actually taking advantage of T cells' usually helpful property to preserve the 'memory' of infections and get reactivated. But this reservoir of hidden HIV is why, in spite of early hopes, it has been impossible to completely eradicate the virus even when its levels in the blood become undetectable. 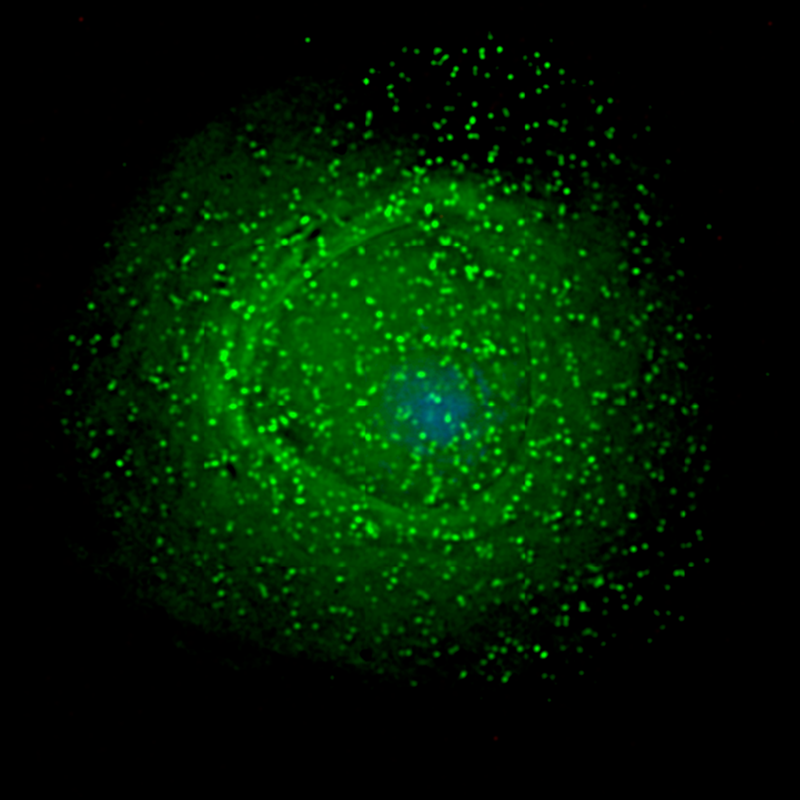 Interestingly in the Science article the Silicianos make it clear that the problem is not one of lack of sensitive detection methods - the current methods are good enough to detect even a single latent cell in principle - but that of sampling, that is, getting enough tissue from the right places to detect the virus. The ultimate problem is that in the absence of detection of this latent reservoir, we will always be stuck with having the infection remerge even when treatments purportedly have rendered it undetectable. From a drug discovery standpoint there is some hope. As long ago as the late 90s scientists were trying to adopt a 'shock and kill' strategy in which they tried to essentially smoke the virus out of hiding and the neutralize it. But early efforts to do this involved administering large doses of interleukins, which basically put the immune system into overdrive and caused some very unpleasant reactions. Since then many other potential therapies, most notably histone deacetylase inhibitors, have been tried in order to get the resting viral DNA to reactivate itself. Another promising treatment that the article does not mention comes from Paul Wender's laboratory at Stanford. Wender and a few others have found out that a natural product from the American Samoan Mamala tree called prostratin can reactive latent and kill HIV at very low concentrations; in fact from what I can tell, prostratin was first described by researchers from the NCI in the Journal of Medicinal Chemistry as far back as 1992. Pre-clinical studies are underway (if successful, this would almost be a fairy tale story of drugs from nature, akin to that of taxol). Finally, a paper that just came out in Cell last week talks about using a combination of drugs like histone deacetylase inhibitors to smoke the virus out of hiding and then using antibodies against the glycoprotein envelope of the virus to finally silence it. The hope is that some or all of these therapies - small molecules to force the virus out of hiding and a combination of small molecules and antibodies to kill it and potentially render immunity to further infection - will at some point work. There is always the issue of how tolerable the side effects of these combination therapies will be. But more than anything else, the complex challenge illustrates both the necessity of researchers from different fields adopting a variety of strategies to fight AIDS as well as the formidable barriers that the virus has set up for us. Ultimately as the article says though, an achievable goal might be more modest; we might be able to keep patients on and off treatment for long enough so that they can live normal lives in spite of potential viral rebound. Even that chronic treatment scenario will be a great achievement, no less attractive than a mythical 'cure'.